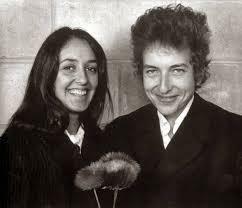 What do Joan Baez, Bob Dylan, and KALW have in common? They're all turning 75 this year! Tomorrow (Saturday) at 3 pm on "Folk Music & Beyond", an encore broadcast of an interview with biographer David Hajdu on his best-selling book "Positively 4th Street: The Lives and Times of Joan Baez, Bob Dylan, Mimi & Richard Farina. Hajdu talks about how the lives of these four musicians intersected during the 60's and how their friendships and rivalries inspired their artistic ambitions and creativity.